Reissued yet again from the king of SD figures! 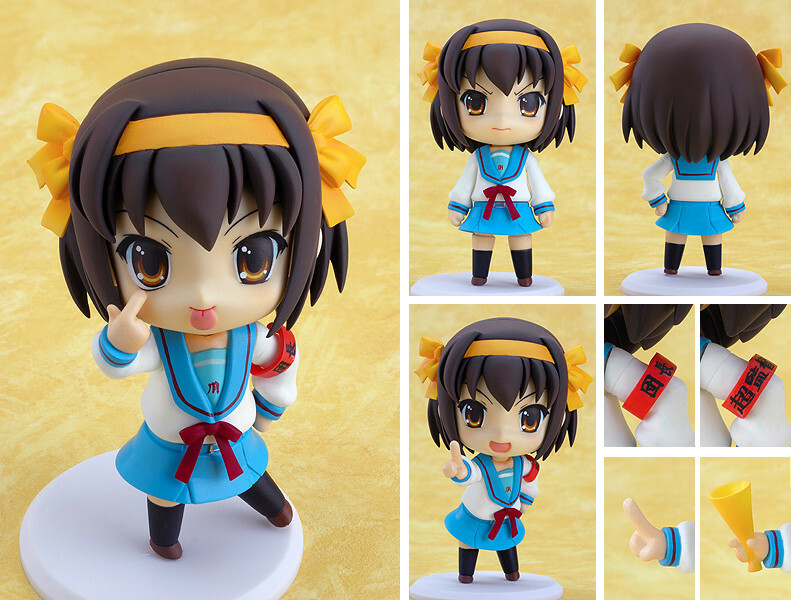 The unbelievable demand for this soft, adorable figure has compelled Good Smile to reissue the Haruhi Suzumiya Nendoroid again! With three interchangeable faces and numerous extra parts, the Nendoroid connoiseur can pose her pointing her finger, arms akimbo or even sticking out her tongue! All these detailed, lovable and incredibly silly features are truly what make the Nendoroid series fun both to play with and to display! 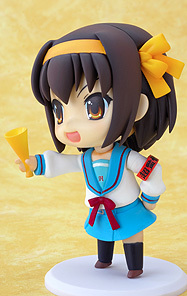 In fact, she seems to scream "Every one of you should buy three of me!"